We are currently seeking individual donors and corporate sponsors for supporting the Steps To Getting Better. 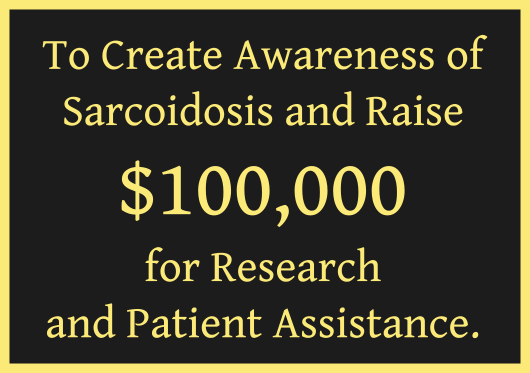 One-hundred percent (100%) of the donations go directly to the Foundation for Sarcoidosis Research (FSR) to fund research projects and help patients who cannot afford treatment. Contributions will assist in funding travel to physicians and facilities that have experience with and regularly treat Sarcoidosis patients. My personal philanthropic mission is to travel to cities across the USA and climb the stairs in notable landmarks throughout the USA. I have committed to take at least 100,000 steps to create awareness and raise $100,000 toward a cure to Sarcoidosis. If your company is interested in sponsoring a Steps To Getting Better event in your city, please contact me here. Individuals interested in donating to the cause can order books (100% of the proceeds go to FSR for research) or pledge a donation here.